Location: East of the Bangor Road in Port Dinorwic. 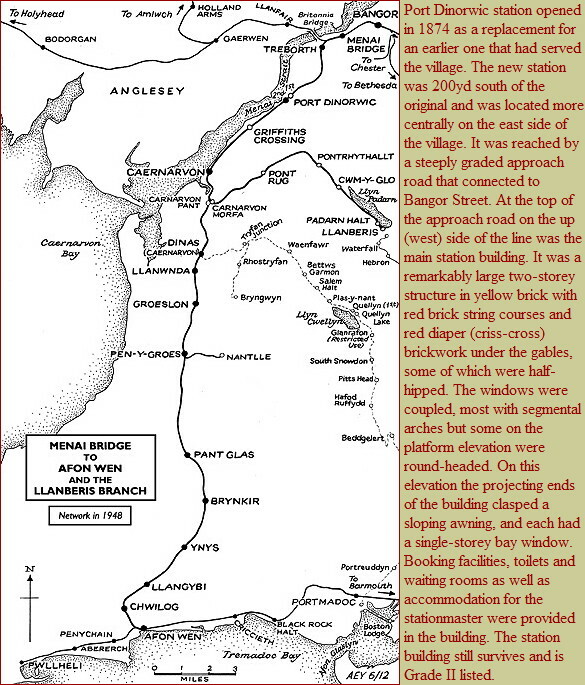 Notes: Port Dinorwic 2nd station was on the Menai Bridge – Afon Wen line which opened in stages between 1852 and 1871. 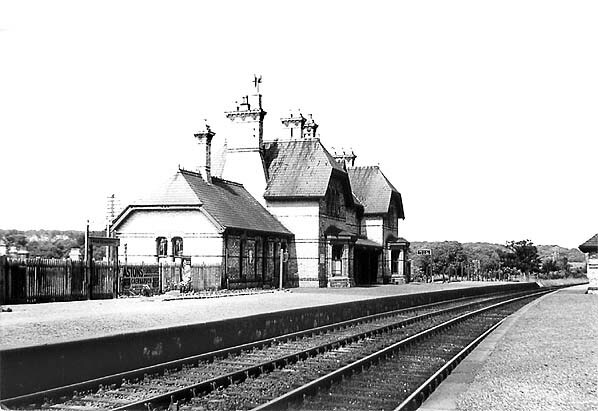 The section of line on which the station stood was opened by the Bangor & Carnarvon Railway (B&CR) which was incorporated on 20 May 1851 to build a line from the Chester & Holyhead Railway (C&HR) at Menai Bridge to Caernarfon. The single-track railway opened to Carnarvon – the spelling adopted by the railway company - for passenger services on 1 July 1852; goods services followed on 10 August 1852. In 1867 the B&CR was absorbed into the C&HR. In 1872 the section of line between Carnarvon and Menai Bridge was doubled. On the down platform a brick waiting shelter, also in yellow brick, was provided. A subway towards the north end of the station connected the platforms. At the south end of the up platform there was a Saxby & Farmer signal box which controlled both the line through the station and the goods yard, a little further south, to the west of the line. At the time of opening train services were worked by the London & North Western Railway (LNWR) on behalf of the C&HR. By 1879 the C&HR had been formally absorbed into the LNWR although it had effectively been part of that company’s network for many years. In December 1895 Port Dinorwic had eight northbound and seven southbound departures on weekdays as shown on the table below. On Sundays there were two trains to Bangor and one to Afon Wen. In July 1922 there were eleven northbound departures and nine southbound Monday to Friday with extra workings on Saturdays as shown in the table below; no Sunday service was shown. On 1 January 1923 Port Dinorwic became part of the London Midland & Scottish Railway (LMS). The LMS summer timetable for 1932 showed nine northbound and six southbound departures Monday to Friday with additional services on weekdays as seen in the table below. On Sundays there were no trains from Caernarvon to Afon Wen, and passengers were advised to use Crosville buses. There were no Sunday trains. On the 1 January 1948 Port Dinorwic became part of the British Railways (London Midland Region). The summer 1948 timetable showed ten northbound departures and seven southbound on Monday to Friday with an extra southbound Saturday working, as seen in the table below. By the mid-1950s the level of summer services on the line had increased - especially services to the Butlins camp - but must of these trains passed through Port Dinorwic without stopping. The winter timetable for September 1956 – June 1957 showed the station being served by only eight northbound and nine southbound Monday to Friday services with an extra southbound on Saturdays as shown in the table below. In 1957 DMUs were introduced onto some of the services on the line but steam still dominated. 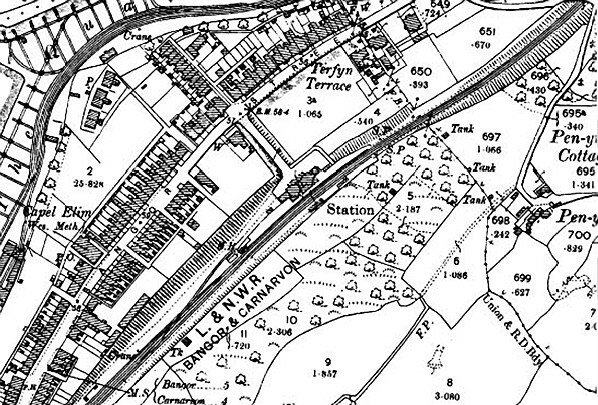 Although Port Dinorwic was a large village, and the station was conveniently placed to serve it, the A487 road between Bangor and Caernarfon ran through the village, parallel to the railway, and buses could effectively compete with trains. 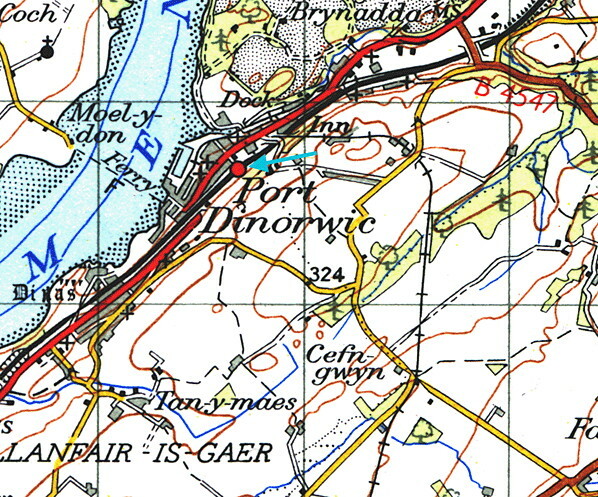 Owing to low usage British Railways closed Port Dinorwic on 12 September 1960. 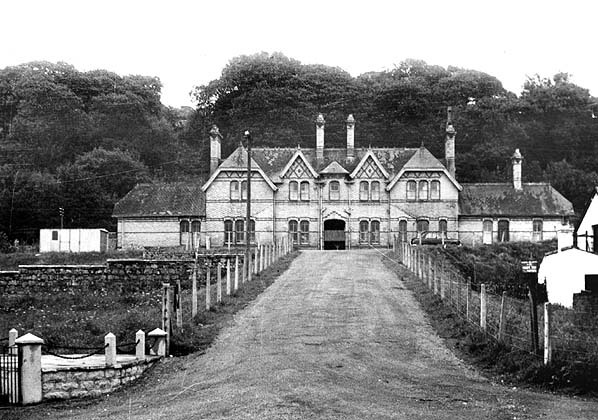 (The neighbouring Griffiths Crossing station, two miles south-west of Port Dinorwic, was equally close to the A487 and lost its passenger service as early as 1937.) 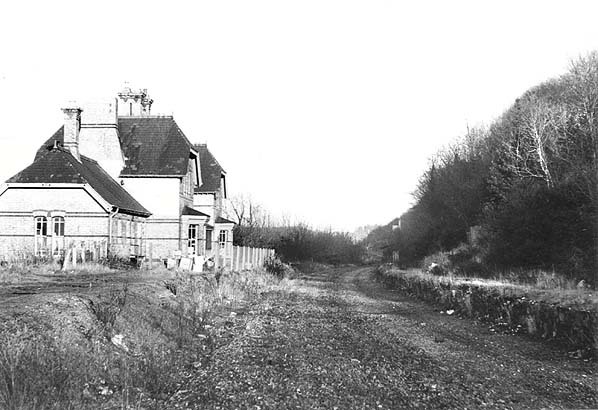 The goods yard closed on 4 May 1964 followed by the original Saxby & Farmer signal box on 24 June 1965. 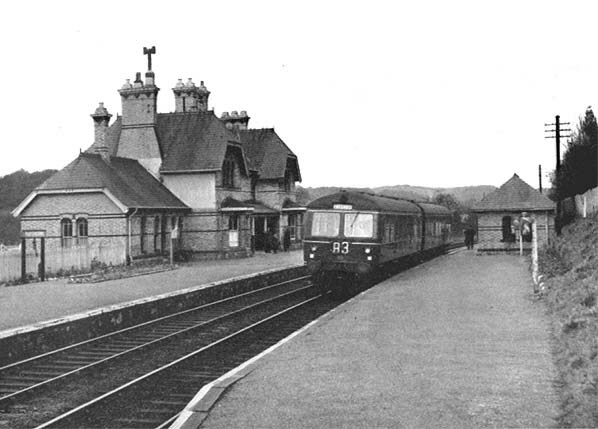 Passenger services continued to pass through the station site (after December 1964 only between Caernarvon and Bangor) until 4 January 1970. The line was singled in 1966, and goods services ceased on 4 August 1969.
completely and was lifted shortly afterwards. For some time after closure the station building was occupied by a firm called Penningtons, but it was later developed as residential units. 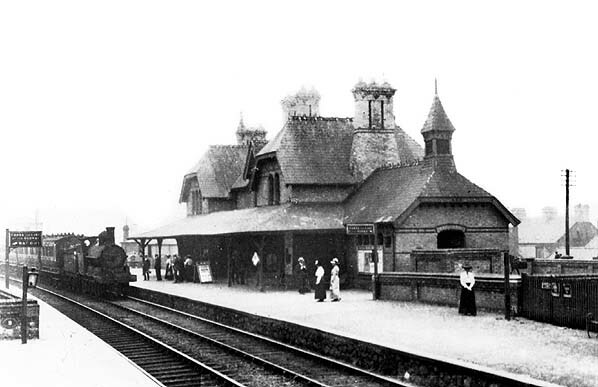 A train for Bangor is seen arriving at Port Dinorwic in 1905. At that time the station building had a canopy that afforded passengers on the up platform protection from inclement weather. 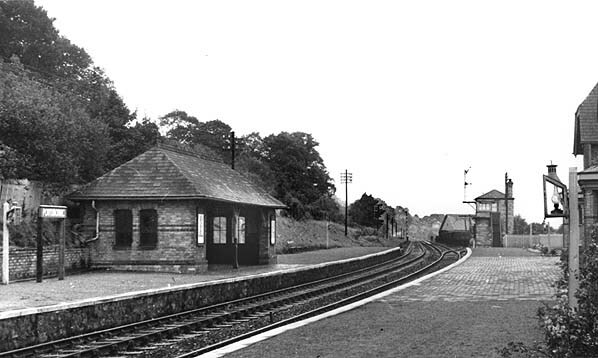 Looking north-east at Port Dinorwic station from the down platform in 1949. Looking east at Port Dinorwic station from the main road in 1954. Looking south-west at Port Dinorwic station from the up platform in 1954. In 1958 a two car Cravens DMU calls at Port Dinorwic on an Afon Wen service. 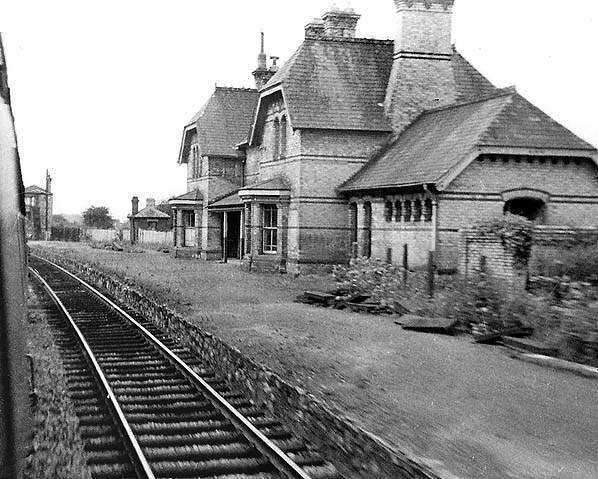 Port Dinorwic station building and up platform seen from a passing train in 1964. 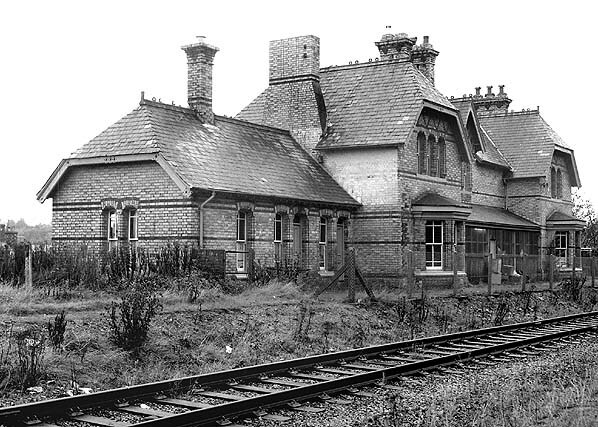 Port Dinorwic station seen in the late 1960s after the line had been singled. Looking north-east in 1972 shortly after the line had been lifted. 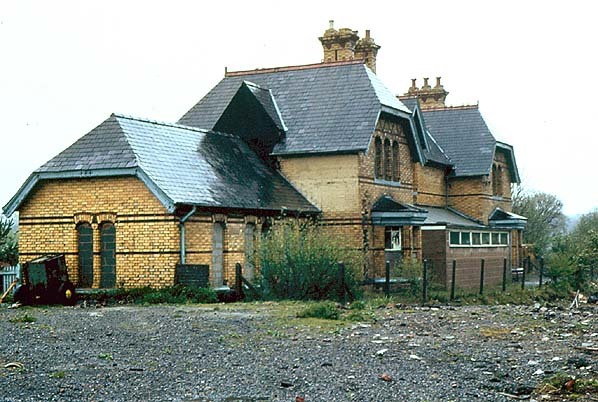 The station building at Port Dinorwic seen in 1981. Looking north-east at Port Dinowic in May 2012.